Pictogram Rainbow Clock - lunch is at green 'o' clock! Pictogram Rainbow Clock – lunch is at green ‘o’ clock! There’s always room on the wall for a fabulous clock and this cheery rainbow coloured time piece is no exception! 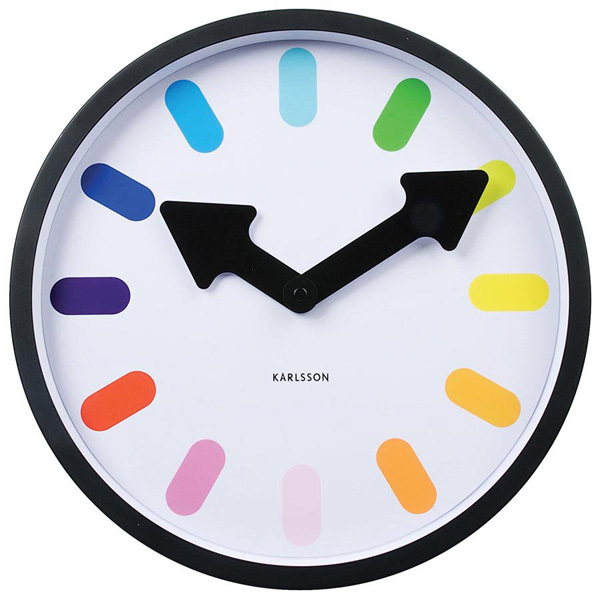 The Karlsson Pictogram Rainbow Wall Clock makes the perfect accessory to your playroom or child’s bedroom. Perfect for young children who are yet to develop their reading ability, they’ll soon learn what pink ‘o’ clock and red ‘o’clock mean – wake up and bed time, or at least you can hope. Generously sized at thirty centimetres in diameter, this beautiful clock is available with a black or white face. Whichever you choose, the colour spectrum remains the same so there’s no confusion if you buy one of each and your children learm to tell the time by the colour! 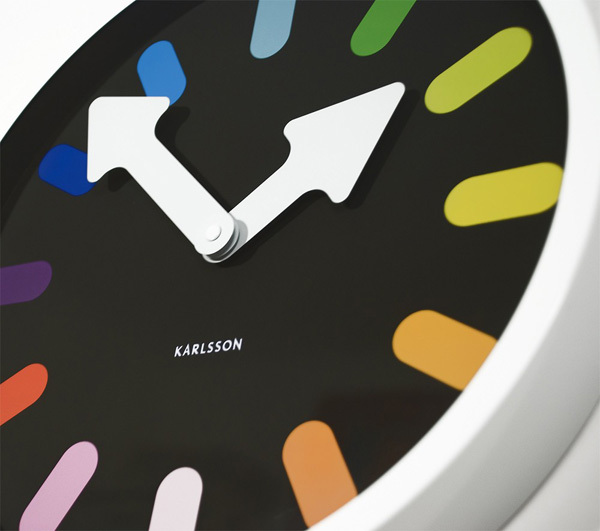 The Karlsson Pictogram Rainbow Wall Clock is priced $55 and available from Talo Interiors.